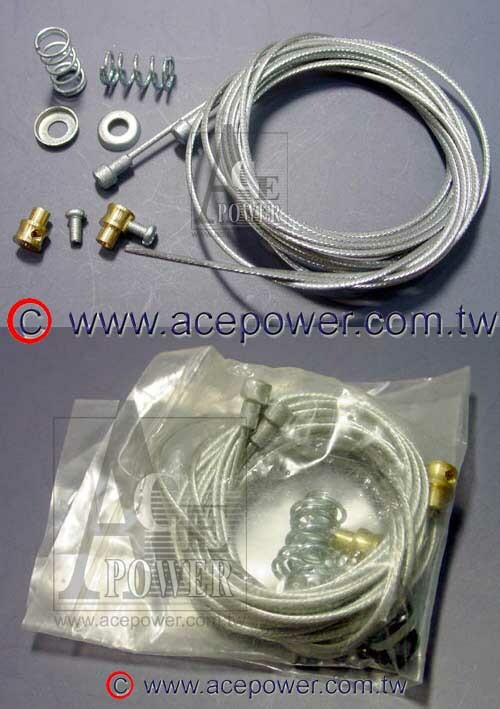 Stainless Wire packing set, 2 pieces Dia. 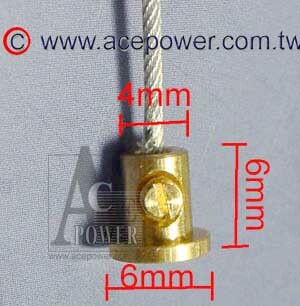 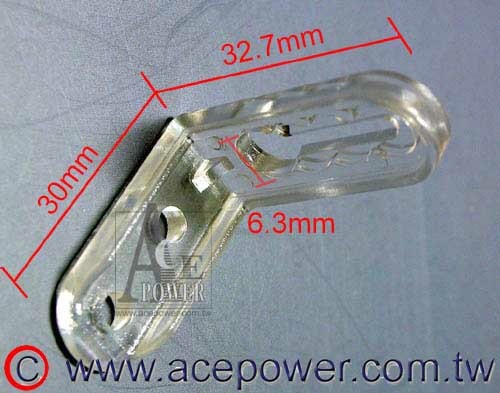 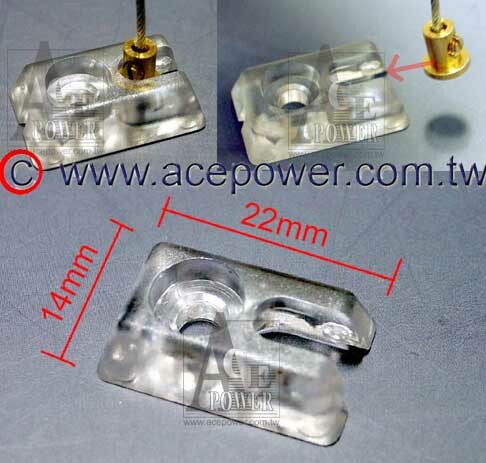 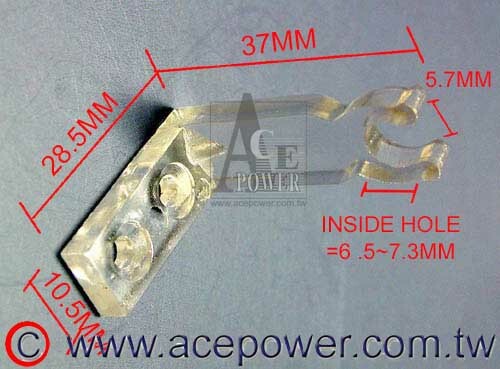 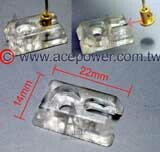 :1.5mm Length: 1.42meter wires with Metal stopper. 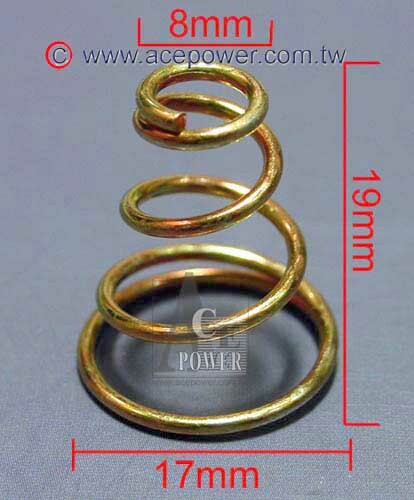 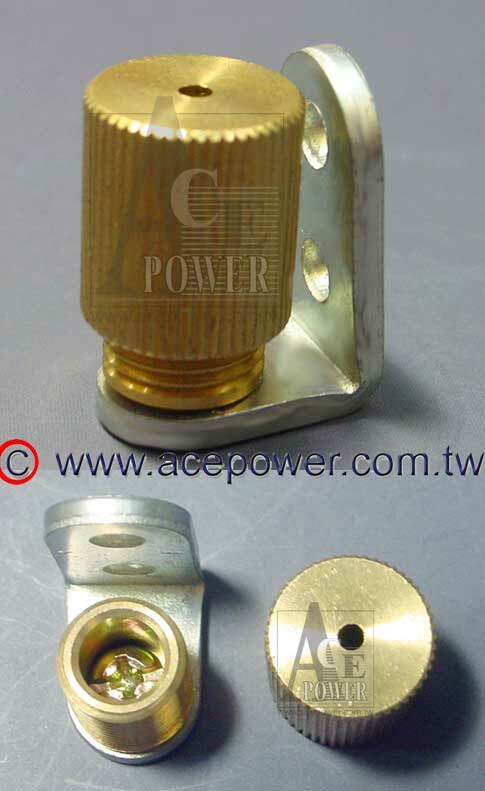 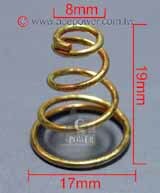 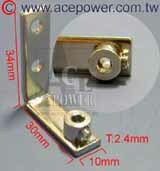 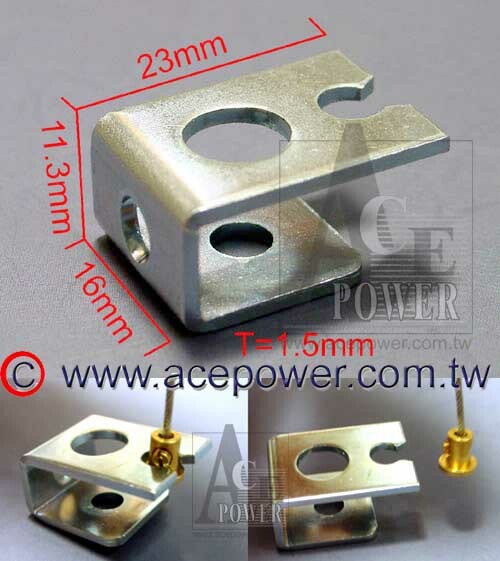 2 pieces Spring-Stopper 17X9mm with metal ring. 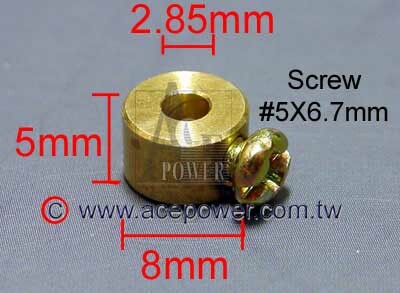 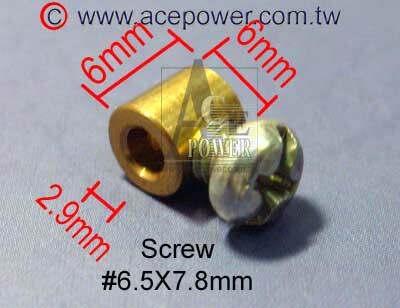 2 pieces Stop-Ring 9x7mm with screw. 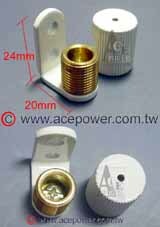 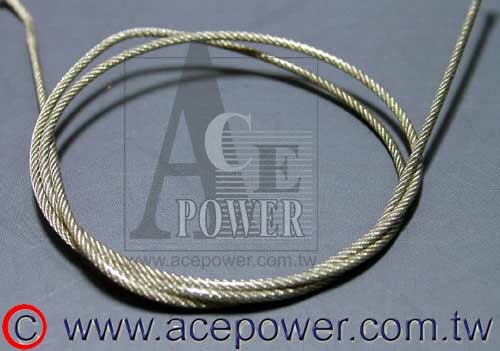 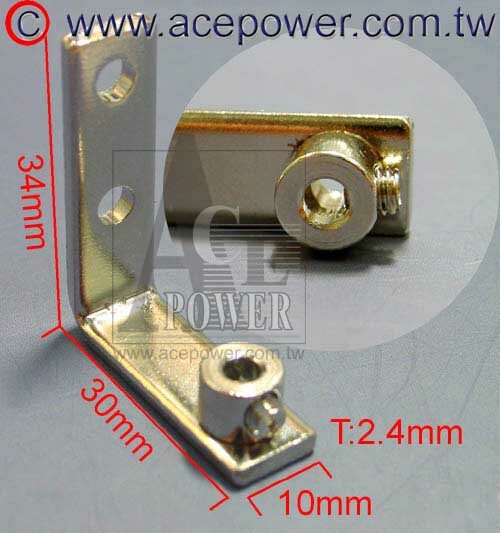 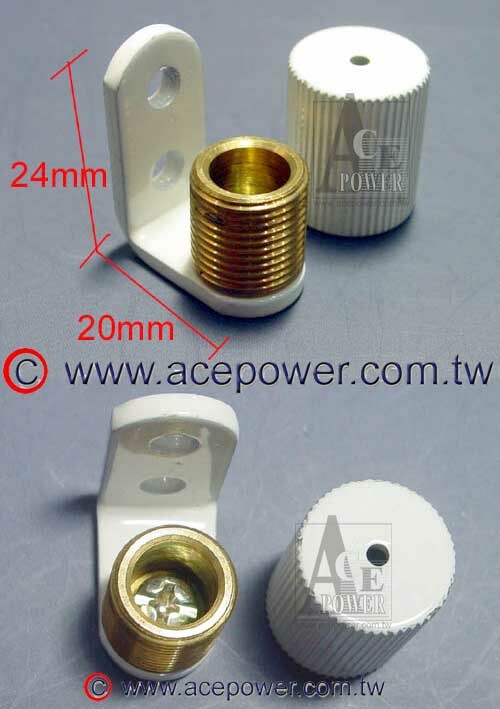 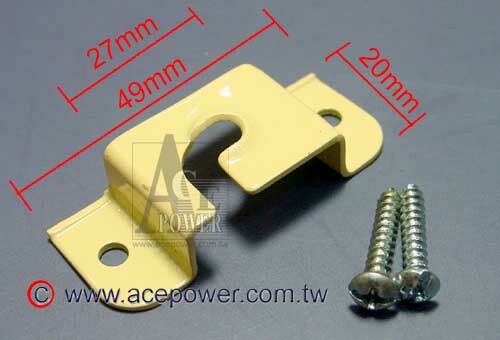 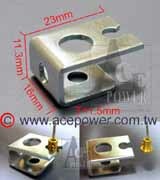 Copyright(c) 2002 ACE POWER BLINDS CO., LTD. All rights reserved.